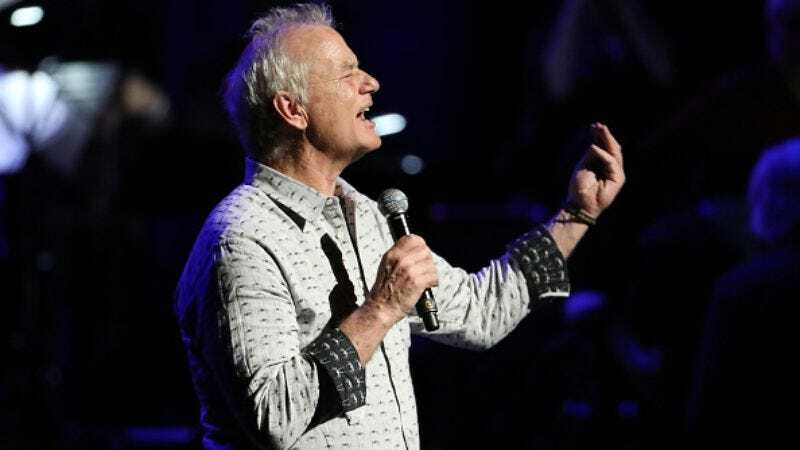 Although he’s performed at various benefit concerts, Bill Murray kicked off his music career in earnest when he announced his debut album, New Worlds. The actor-comedian has teamed up with the Jan Vogler-led trio—which includes his wife, Mira Wang, on cello—for the record, which will feature musical and literary performances. At the time, Murray also announced the ersatz quartet would tour later this year, and we now have those dates (though not all of the venues have been confirmed yet). Before hitting the road, Murray dropped in on the Dresden Music Festival in Germany to cover Van Morrison’s “When Will I Ever Learn To Live In God?”. Check out a tuxedoed Murray belting out the Avalon Sunset tune in this fan-filmed video before sizing up the tour dates.